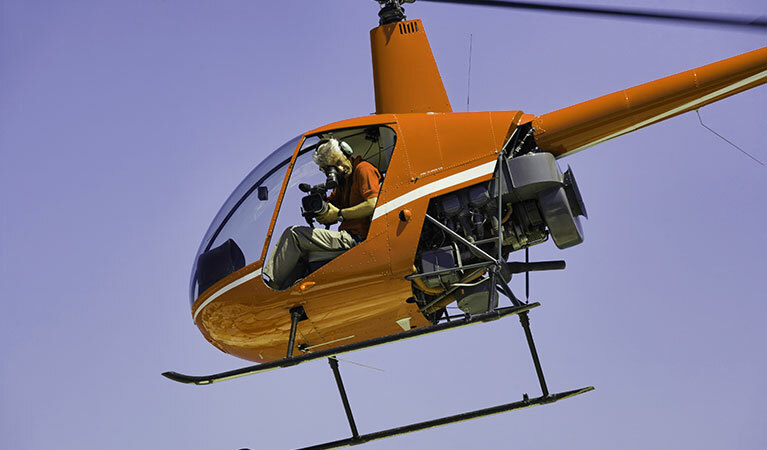 Afford your personal or corporate aerial surveying and mapping endeavors with the convenience and the precision they need, when you select an Arkansas helicopter provider through FairLifts to expedite your efforts. With the unique capacity for high and low-altitude hovering across extended distances and periods of time, helicopters are the easy choice to make even the most difficult surveys, simpler. Technologies like gyro-stabilized cameras, LiDar and remote scanning capacities allow you to optimize your time, while simultaneously capturing accurate readings, regardless of the landscapes below you. Afford yourself a sustainable aerial advantage in Arkansas, whether you’re surveying transmission line sites, cityscapes, agricultural environments, or any residential or corporate landscape. Arkansas proves uniquely conducive to extended aerial surveying. Statewide, helicopter pilots enjoy periods of optimal flying conditions during summer and fall months, with maximized visibility for accurate surveying and mapping. Even when climatic conditions aren’t ideal, helicopters enhanced for all-weather flight employ industry-leading engineering, for sustained, accurate survey measurements even during periods of impaired visibility. Diversified state topography across Arkansas makes it difficult to justify any other means for aerial surveying. From Mount Magazine to the Ouachita River, helicopters can reach altitudes and depths altogether impossible for traditional ground transportation methods. The unique combination of maneuverability and surveying technologies aboard make helicopters the ideal surveying solutions. Obtain accurate aerial readings above virtually any territory. Accomplish airport surveying of the International Airport or the Northwest Arkansas Regional Airport, or take surveying endeavors to industrial lengths, perhaps above Arkansas River Valley mining operations or the Arkansas Midland Railroad. No matter the location, accomplish advanced aerial survey metrics. Dedicated helicopter providers in Arkansas routinely satisfy aerial surveying statewide, thanks to world-class surveying technologies. Employing light sourced from radar, LiDar (a name derived from a combination of “light detection” and “ranging”) exists as one of the weapons that helicopters add to your aerial survey arsenal. LiDar calculates the distance to any destination with a synthesis of radar and illumination, providing survey readings more accurate than ever before. Scan difficult topography with high or low-altitude remote sensing tech, itemized engineering that continually sweeps landscapes below the helicopter. Dedicated helicopter providers in Arkansas also employ GIS (geographic information system) operations, effectively capturing data from any aerial survey for subsequent analysis in real time. Itemize, collect and store customized data sets during any aerial survey thanks to GIS procedures, for spatial awareness and precise figures alike. No matter your financial parameters or your individual preferences with regard to your aerial survey, local helicopter providers regularly customize packages that accomplish your needs in a fraction of the traditional time. Utilize aerial survey technologies in Arkansas to expedite corporate or industrial needs at the convenience of your own itinerary. Account for transmission line operations and utility corridor metrics alike, with aerial survey services through dedicated local helicopter providers. Survey aerial trimming, wire stringing and pole installation mechanics from the air, and observe utility corridors for streamlined steam, water and electric line operations on a daily basis in Arkansas. Take down accurate, high retail city measurements in a fraction of the normal time, with aerial surveying above residential and corporate Arkansas landscapes from both high and low-altitude locations. Maneuver around buildings and natural obstacles, for regularly meticulous procedures regardless of anomalies that block traditional ground transportation. Now, you can perform aerial survey procedures above any transportation infrastructure, including highways, railway designs and more. Perform optimal route studies for data implementation and implementation of more efficient transportation methods to come. The first step in any transportation analysis, transportation infrastructure surveys are easy in Arkansas. Whenever time is of the essence, expedite both emergency response and damage assessment in Arkansas for efficient operations in crucial moments. Whether you need airborne search and rescue operations or personnel relocation, respond appropriately to emergencies and impending damages, with the installation of a helicopter into the mix. Service mines from above, and take accurate aerial survey measurements with the implementation of cutting-edge technologies. Recognize opportunities for mineral exploration endeavors, and take personnel transportation literally to new heights, thanks to mining and exploration services exclusively by aerial survey helicopters in Arkansas. Customer service representatives are available at every hour of every day, to answer any remaining questions and to begin helping you craft a personalized aerial survey package. You can also fill out a customer contact form online, for an alternative submission solution within 24 hours.